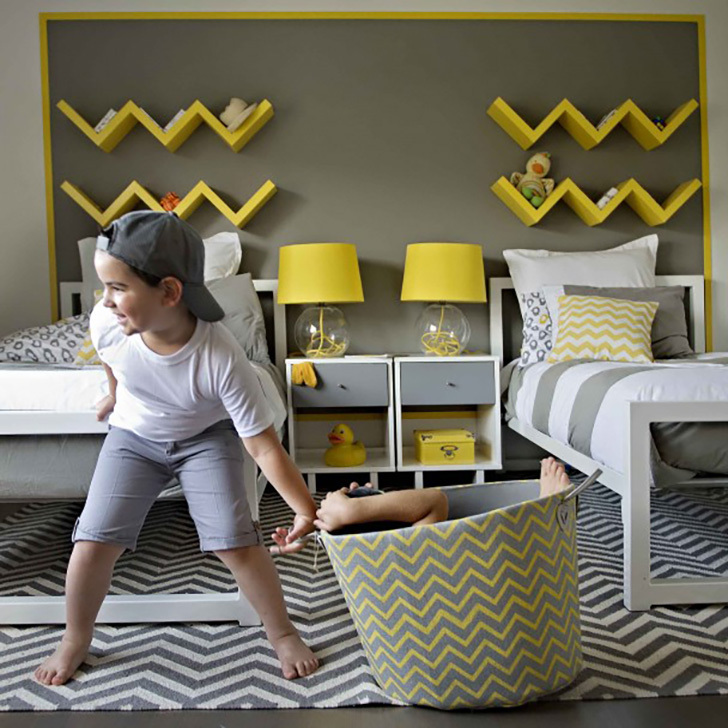 Susan Strauss Design, a New Jersey-based interiors firm, had the pleasure of designing an adorable boys’ bedroom. The goal? To create a transitional contemporary space with clean lines, vibrant color and a touch of modern design. Inspired by their client’s love of chevron, they didn’t miss a beat in taking the bold pattern to town. The team designed custom zig-zag shelves, which coordinated with the chevron rug, basket and wall art. A set of Room & Board Piper beds flank two Moda nightstands at the center of the room, providing a home to two striking yellow lamps. We love the final result—a room that’s not only sleek and clean, but playful and bright.